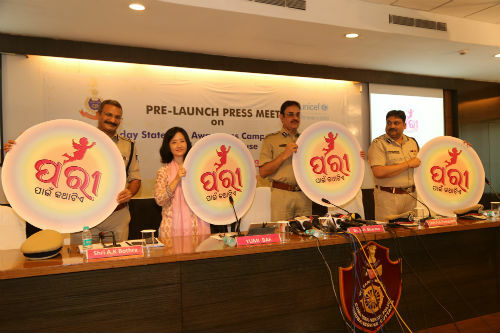 Bhubaneswar: Odisha Police in association with UNICEF will launch a two-week statewide community awareness campaign against child sexual abuse from 28th May to 12th June 2018. The state-wide campaign titled ‘Paree Pain Katha Tiye’ (a word for the little angel) will be launched on 28th May, 2018 by Sh. 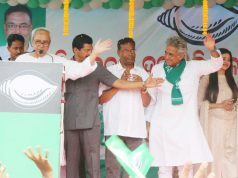 Naveen Patnaik, Hon’ble Chief Minister, Odisha in a function at Bhubaneshwar. Sh. 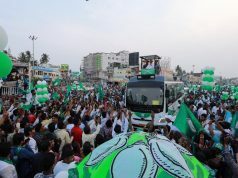 Patnaik will flag off 15 Paree Express Vans which will travel across the state carrying the message. These specially designed vans will cover all 30 districts of the state and converge at Bhubaneswar on 12th June, 2018 for the concluding function. The key objective of the campaign is to spread awareness among communities, families and parents that child sexual abuse can be prevented and that each one has an important role in doing that. The campaign will also stress on the need to report cases and will inform people about the laws and punishments for child sexual abuse. In each district the campaign will be led by the Superintendent of Police and District Collector. ‘Paree Express’ will move across each district based on a carefully charted route map that touches the most vulnerable pockets. During each halt of the Paree Express public meetings and cultural events will be organized for about one to two hours. All key stakeholders such as elected representatives, community members, influencers, SHG groups and youth and children will be requested and motivated to attend the public meetings. These awareness meetings will be followed by folk performances by specially trained local cultural troupes, film screenings and dialogue with the community. Each ‘Paree Express’ will have four officers and men from the district police who will facilitate and lead the people contact drive. Each van will be equipped with an LCD screen. Leaflets and other printed materials will be distributed followed by community interactions. These specially crafted communication materials outline the roles and responsibilities of the community, parents and village influencers. Odisha Police in collaboration with UNICEF has trained police officers to conduct the awareness campaign at the district levels. UNICEF, as part of its ongoing partnership with the Department of Culture, government of Odisha, has trained folk artists from Zilla Kala Sanskruti Sanga(ZKSS) and Zilla Kala Sanskruti Sanga (BKSS) for the campaign. The troupes will be trained to conduct pre and post-public meeting performances to spread the message among the community. This campaign is supervised by Dr. RP Sharma, IPS, DGP Odisha and other senior officials from the Odisha Police with technical collaboration from UNICEF. 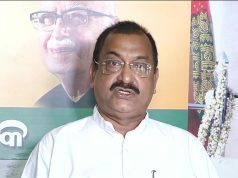 Shri Asheet Kumar Panigrahi, IPS, IG Police (HQs), Odisha is appointed as the State Nodal Officer to coordinate and monitor the statewide campaign.